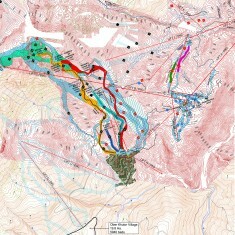 2014 Olympic and Paralympic Winter Games Alpine Skiing Venue | 2014 Olympic and Paralympic Winter Games Alpine Skiing Venue | Ecosign Mountain Resort Planners Ltd. 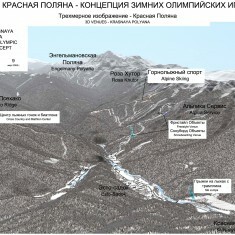 In 2005 Ecosign was contracted by Leonid Tyagachev, the President of the Russian Olympic Committee to study the possibility of hosting all snow based competition venues in the mountains surrounding Krasnaya Polyana, 48 kilometers northeast of Russia’s Adler International Airport. After submitting a successful bid to the Russian Olympic Committee, Ecosign continued to work closely with the Sochi Bid Committee to provide technical advising on the reports due to the International Olympic Committee, which resulted in Sochi securing itself as an official Candidate City. Ecosign’s President Paul Mathews played a crucial role during the bid presentation to the IOC Evaluation Committee ultimately capturing Sochi’s win in the bid to host the 2014 Olympic Winter Games. Ecosign worked in close collaboration with Mr. Bernhard Russi, Olympic Champion and FIS Expert to design the competition pistes at Rosa Khutor. 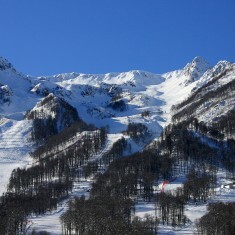 The Alpine Skiing Venue was constructed in accordance with the Ecosign Master Plan for Rosa Khutor and Sochi successfully hosted the Olympic Winter Games in February 2014.